The majority of our time at the LL Bean Arts and Archives department was spent sorting through racks of clothing. I was like a boy in a candy shop, well actually more like a boy in a camera shop. Here are some great pre-war, except for the 29 year old River Driver shirt, finds from the archive. Enjoy. You can get a new one these here, but it wouldn't be made in the USA. My mom had one of these that she wore for years. Ruth told us that US airman during the war wore LL Bean jackets like this one to keep themselves warm in the unpressurized cabins of Allied bombers. Blaze orange, hunting pea coat from 1940, how sweet is that? I wish all my tags looked like that. Its hard to tell, but these buttons read LL Bean, Freeport Maine. I also really like the pocket's leather lining around the openings. This jacket had awesome details. This shearling-lined jacket weighed a conservative 15 pounds and smelled like your great grandmother's quilt. I really liked the corduroy elbow pads on this cotton jacket. I hope you enjoyed these jackets as much as Max and I did. I will let them speak for themselves. Have a great weekend. 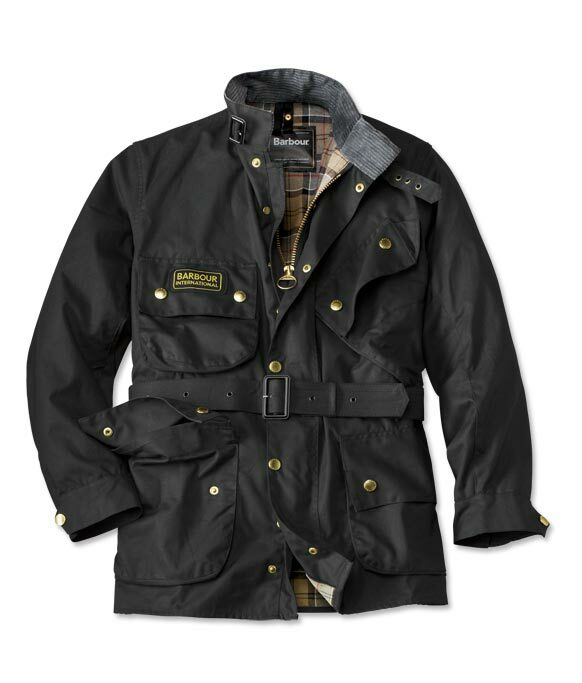 Since its introduction in 1936, Barbour has done little more than change the location of their logo on the iconic International Jacket. The International's 8 oz waxed cotton has kept motorcyclists dry, warm and protected from gravel for the last seventy years. The diagonal left breast pocket, designed for easy access while in the saddle, plainly identifies the jacket and influenced WWII Submarine Allied Officer Jackets. 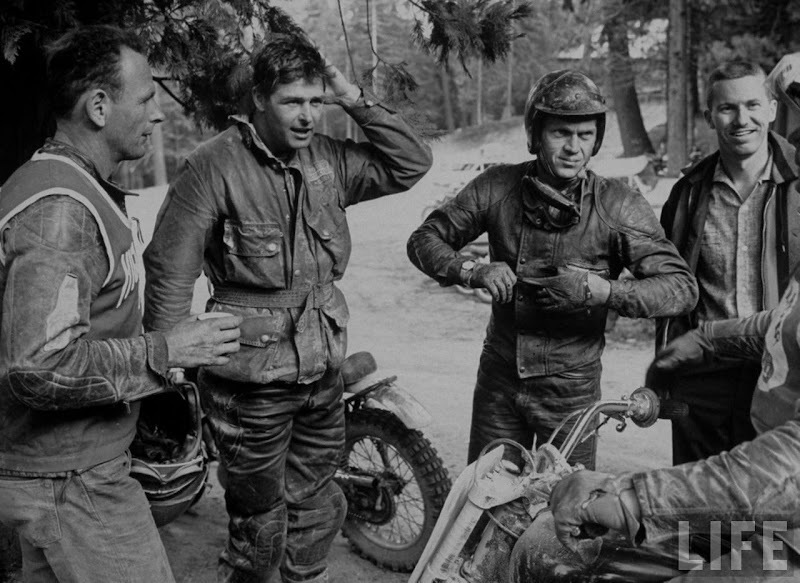 Today, the jacket is a homage to Triumph and Indian riders like bad boys Bud Ekins and Steve McQueen. I am surprised that Brad Pitt's in the Curious Life of Benjamin Button didn't wear an International in the "look book" like motorcycle montage. 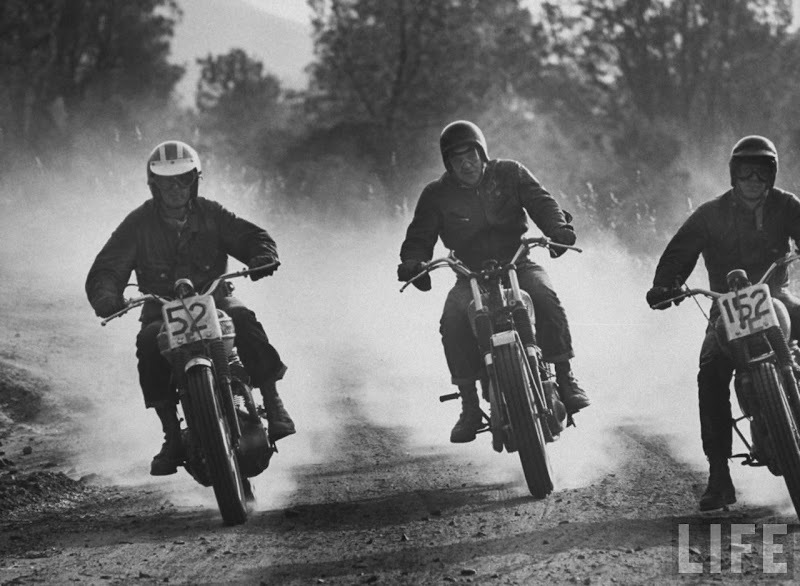 Here are some photos from the Life Archive of Ekins and McQueen racing through the Mojave Desert in 1963 wearing their Barbour Jackets. 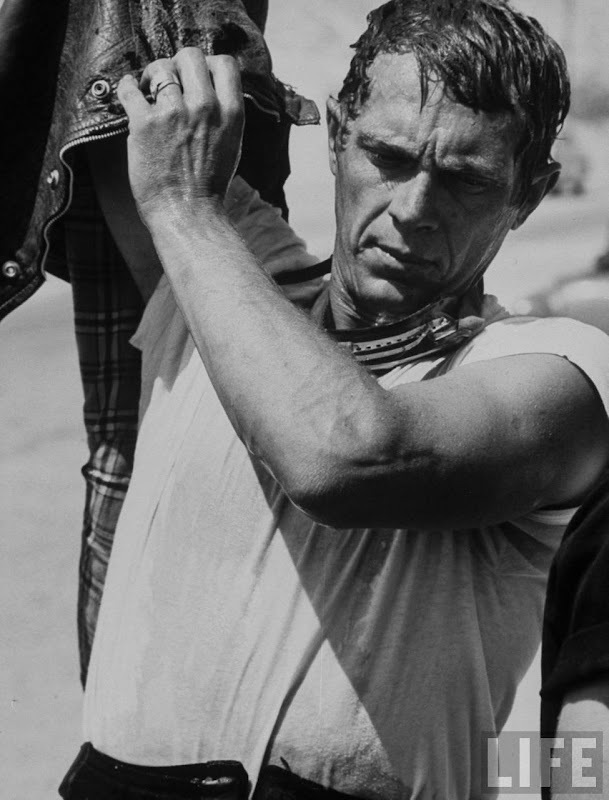 Note the Barbour plaid on Steve McQueen's well worn jacket.